On January 21st, some of our team attended the first day of the Garden Centre Association Annual Conference, held at the stunning location of Luton Hoo. Garden Centres across the country who are members of the GCA have an annual inspection by the association between March & June. They are scored across every part of their business, from customer service to outdoor leisure, garden product retailing to creativity and innovation. The results of these inspections are announced at regional awards evenings in July & August. We knew we had won Best Garden Centre Restaurant & Best Outdoor Leisure Retailer for our North Thames Area back in July but we were absolutely thrilled to learn that we had won those same two awards again, this time though we were the best overall! 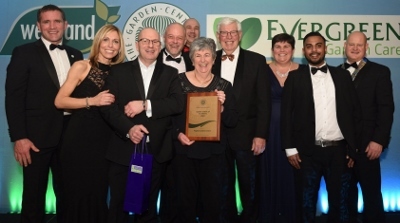 Then on Tuesday night at the annual GCA Gala Dinner, we were awarded Garden Centre of Excellence status which means we are the fourth best Garden Centre in the country.